Microsoft's Windows 10 Build 17025 announced just a week after the general release of Windows 10 Fall Creators Update for over 500 million users. Microsoft has released the new Windows 10 Build 17025 as part of the Insider Preview in the Fast Ring and Skip Ahead branch starting today. The new build comes just a week after the Redmond-based software major started the general rollout of Windows 10 Fall Creators Update to over 500 million Windows 10 users in a phased manner. With the new Build 17025, Microsoft is further tweaking the setting apps on Windows 10. The new build includes a revamped Ease of Access settings with improved descriptions of the settings that make it easier to discover these accessibility features. This new build also brings updated advanced options under settings giving users more control over startup tasks. In a blog post, Microsoft notes that Universal Windows Platform apps "that are configured to run at startup will now have a new option to see all available tasks specified by the app developer and their status." The Build 17025 also updates the Yahei font for Chinese (Simplified) language with three additional weights, scaled glyphs, redesigned punctuations and symbols and new hinting algorithm. Apart from these major updates, the new 'Redstone 4' build updates the Fluent Design with a lighter theme and brings minor updates, fixes to mouse input issue, touch feedback issue, RDP issue among others. Microsoft also notes some known issues like broken functionality in Mail, Cortana, Narrator and some missing features like Windows Media Player. The swipe gesture with touch to dismiss notifications from the Action Center is not working and there is a noticeable screen flicker when using hotkeys or switching between Virtual Desktops with the touchpad. The Windows 10 Build 17025 is part of Redstone 4, which is expected to arrive sometime in March or April next year. 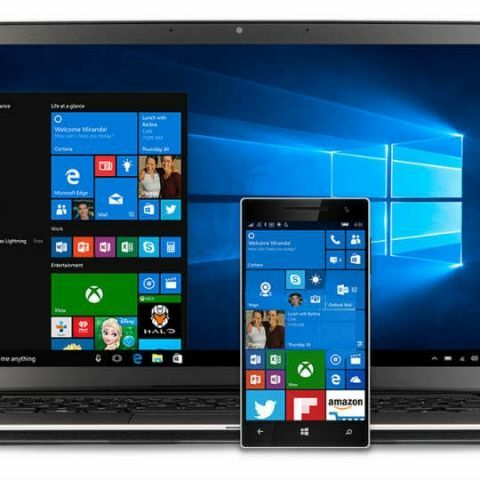 Microsoft is yet to officially disclose major features coming to the update but it is expected to bring Timeline, and Cloud Clipboard showcased at Build 2017.